Thanksgiving ? it’s not a lukewarm kind of holiday. You either look forward to it or you dread it. For me, I love the food…and especially the pies! I remember Dad was always in charge of the turkey and he had this special electric porcelain oven that he used solely for the purpose of putting out the best tasting bird in the county. And, not to be outdone, Mom would spend days making pumpkin pies from REAL pumpkins. Most kids nowadays probably never had the pleasure of scooping out the soft, creamy pumpkin innards that are then magically transformed into that traditional delight for young and old. Oh man, I’m drooling just at the thought of it! Nashville, TN -- Considered one of the finest Americana musicians performing today, with a musical voice grown directly from roots in Appalachian and Louisiana soil, Dirk Powell is set to release his fourth solo album and Sugar Hill Records debut, Walking Through Clay, on February 4, 2014. The album finds Powell, whom Steve Earle calls “the greatest old-time banjo player alive,” uniting the hard-hitting drums of guests like Levon Helm with homegrown electric guitars, fiddles, amplified fretless banjos and Creole accordions. Barriers between styles are cooked off and what remains is a fearlessly emotional portrait of rural American music presented as only Powell could. Norwich, UK -- Bob Minner, the top country banjoist and guitar picker, has released the first demo video of himself playing the Islander Ash Leaf British-made banjo from The Great British Banjo Company. The short video of Bob, playing the traditional old-time tune Angeline The Baker, can be found on the Banjos Direct site. Banjos Direct are the sole UK outlet for the Islander Ash Leaf. The Alleghany County Fiddlers Convention will be held Friday, July 2th and Saturday, July 21st at the Higgins Agricultural Fairgrounds in Sparta, North Carolina. The convention features competitions in Old-Time and Bluegrass music and has both adult and youth categories. In addition to fiddling, there are also a dance contest and other instrumental competitions. All in all, ribbons and $2,850 in cash prizes will be awarded. Lyons, Colo.—The third annual Rocky Mountain Old-Time Music Festival will be held June 1st through 3rd at Parrish Ranch in Berthoud, Colorado. The festival will showcase national, regional and local performers, square dances, jamming, music and dance workshops and kids' performances/activities, with camping all weekend. 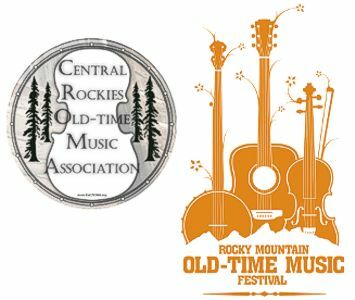 The festival is sponsored by the Central Rockies Old-Time Music Association (CROMA). Hiltons, VA -- John McCutcheon, Tom Bledsoe, and Rich Kirby are the musicians who make up Wry Straw. No longer performing as a trio, all are incredibly talented in their own right and continue to perform old time music today. John's solo career has flourished, and he's one of the most talented and well-respected musicians in folk and traditional music circles. Tom still performs, acts, and promotes music shows and festivals. Rich works at WMMT, produces, records, and performs. 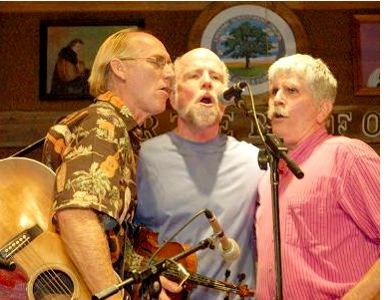 A Wry Straw reunion was presented at the Fold as part of the first Clinch Mountain Music Fest. Open your mind to a whole new musical experience and sound...Whether you're a fan of bluegrass or old-time music, 29 artists from both sides of the aisle have come together to create a truly unique recording that combines these two musical genres and their bold styles. The Appalachian Highlands region of Northeast Tennessee, Northwestern North Carolina, Southwestern Virginia and Eastern Kentucky is home to the origins of both bluegrass and old-time string band music. This music has been enjoyed for generations in kitchens and back porches, school auditoriums and music festivals and venues. Many times bluegrass and old-time artists can be heard jamming off stage at festivals before or after shows or even late into the night after the crowds have gone home. Amazing sounds are created when these styles are blended together as their heritage intended and rarely heard by the fans. Close Kin brings these sounds to the fans.